Chrome: The best part of Twitter — or one of the few remaining good parts anyway — is that you can share short messages from nearly anywhere. 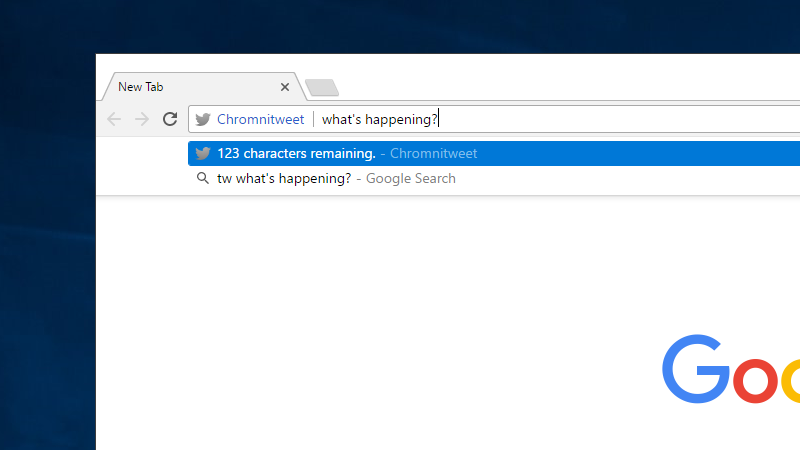 Chromnitweet is an extension that adds your browser's URL bar to that list. When you install the extension, you'll need to authorise it to access your account and then it just sits in the background. To use it, set your cursor to your URL bar (Ctrl+L, for the keyboard savvy) and type "tw [YOUR MESSAGE]" and hit enter. It's a pretty seamless way to send a message to Twitter. Now you just need to find something worth tweeting about. The extension can't help with that.